Dr. Ellen Ueberschär was born in East Berlin in 1967. After the East German authorities banned her from studying medicine, she first completed job training as a data processing technician and then, in 1988, she became a student at East Berlin’s Academy for Theology. After also studying theology at Heidelberg and Berlin universities, Ellen Ueberschär passed her First Theology Exam in 1995. Until 1997 she was a fellow of the German Academic Scholarship Foundation, and then, until 2001, a research assistant at the School for Theology at Marburg University. A year later, she obtained her doctorate with a thesis on Protestant youth work in the Soviet Occupation Zone and East Germany. She completed her theological training filling various functions with the Berlin Protestant church, for example at their Evangelical Academy. At the same time, she was active with a number of projects that aim to reappraise the history of the German Democratic Republic (GDR), among others the “Stiftung Aufarbeitung” (Federal Foundation for the Reappraisal of the SED Dictatorship), where she investigated the political persecution of young Christians. In 2004, she was ordained as pastor. Until early 2006, Ellen Ueberschär was dean of studies for theology, ethics, and law at the Evangelische Akademie Loccum, and, between 2006 and 2017, general secretary of the German Protestant Church Assembly, as well as the Ecumenical Church Assembly. Since July 2017, Ellen Ueberschär is, along with Barbara Unmüßig, one of the presidents of the Heinrich Böll Foundation. She has and has had many honorary functions. Between 1990 and 1992 she worked for the “Kuratorium für einen demokratisch verfassten Bund deutscher Länder” (board of trustees for a democratically constituted federation of German states). She was a member of the “Synode der Evangelischen Kirche in Deutschland” (synod of the Protestant Church in Germany), and she is an advisory member of the Point-Alpha-Stiftung. She also is a member of the Chapter of Brandenburg Cathedral. 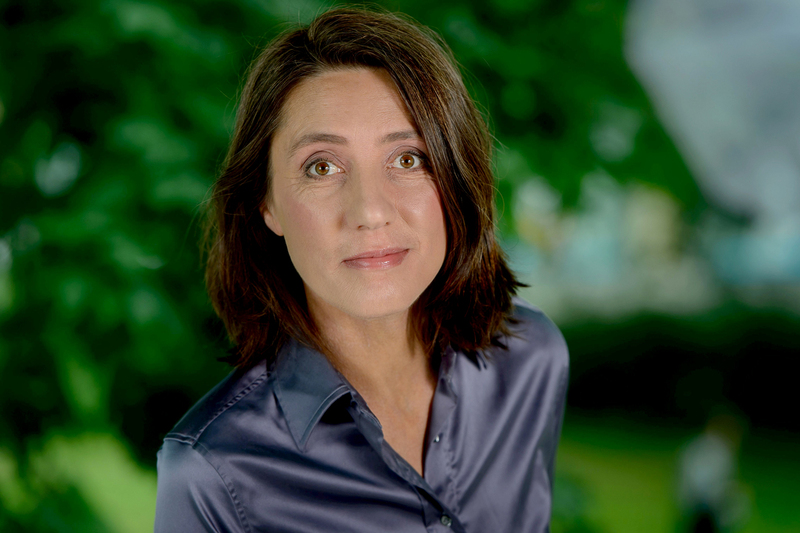 Ellen Ueberschär’s connection to the Heinrich Böll Foundation goes back many years, first as a scholarship student, then as a member of the Green Academy, and, between 2004 and 2012, as a member of the Foundation’s supreme decision-making body, its Member’s Assembly. In 2003, her first book appeared, titled “Junge Gemeinde im Konflikt. Evangelische Jugendarbeit in SBZ und DDR 1945 – 1961” (Young Christian communities in conflict. Protestant youth work in the Soviet Occupation Zone and East Germany, 1945 – 1961). Her second book, with the title “Fürchtet euch nicht! Frauen machen Kirche” (Be not afraid! Women in charge of the church), was published in 2012, and, in March 2017, her most recent book appeared, titled “religiös und ruhelos” (religious and restless). Ellen Ueberschär is married and the mother of a daughter. As president of the Heinrich Böll Foundation she is responsible for the Foundation’s German activities, for foreign and security policy, and for the Europe and North America regional work. In addition, she is in charge of the scholarship department, of the Green Academy (a think tank of scientists and politicians), as well as of the archive “Grünes Gedächtnis” (green memory), a contemporary historical archive collecting materials relating to the Green party and the new social movements.